James Kennedy’s The Order of Odd-Fish was introduced to me by the dude himself, at an author panel organized by SCBWI-Illinois. Amidst sage advice on how to promote a book, Kennedy retold a doozy I’d have taken for the “don’t do this” pile – a doozy involving “whimsically insulting” Neil Gaiman AND a theatrical attempt to de-Newbery him. So, I’ll admit, one of my first thoughts was, “Is this a book for me?” In the end, I figured if Odd-Fish was half as entertaining as the guy himself during an author panel, I’d be in good hands. Lucky for me, the Odd-Fish paperback came out soon after I’d taken a five-chapter bite. For the release party at 57th Street Books, Kennedy answered questions and gave a few outrageous performance-readings. With a story this Python-esque and darkly visual, the action seemed to come at me – so the cadence of his voice offered the perfect pace to read by. There were times I couldn’t keep up with that pace, like whenever my pesky left brain seemed to reject the idea of the Order of Odd-Fish: these knights who dither as an occupation, creating an Appendix of dubious facts, rumors, and myths. But at other times, my micro-managing self receded into the background – as any party-pooper should – and I had an absolute blast. If that isn’t an argument for adverbs, I don’t know what is. It certainly made me smile. On the big news front, Kennedy has received an overwhelming amount of fan art for The Order of Odd-Fish – and on Saturday, April 17th at 7pm, he’s partnering with Collaboraction for a showing in their gallery at 437 N Wolcott. Come for the rooms decorated as scenes from Odd-Fish, and stay for the costumed battle-dance party – the Carnaval Dome of Doom. How would you like to win an autographed Odd-Fish paperback AND Kennedy’s soundtrack mix CD? Among the Odd-Fish, a “society of ditherers,” each knight takes up their own pointless research. Sir Festus, for instance, studies absurd musical instruments like the “urk-ack” – a live animal whose innards have forty-one sweet spots with which one can play a beautiful tune. So: Tell me about an absurd Odd-Fishian musical instrument of your own invention. How would it work? What would it sound like? Submit your answer as a comment by Sunday, March 21 at 11:59pm CST! James Kennedy himself will determine the winningest, most absurd instrument! 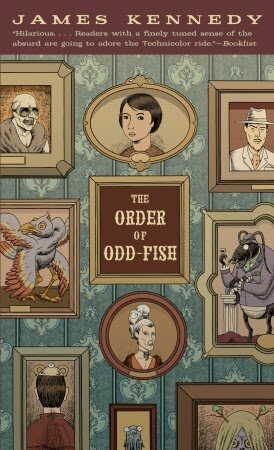 The lucky winner will get an autographed copy of The Order of Odd-Fish in paperback (complete with sweet cover art by Paul Hornschemeier) and a BONUS PRIZE: Kennedy’s own special Odd-Fish mix of tunes. UPDATE: This contest has ended, and the results are right here! My odd-fish is called a Sharlton (in honor of this week’s episode of “PSYCH,” which featured a shark.) Not only is it a combination cop/psychic fish, it does some mean karaoke. How, you ask? Well, that’s very interesting indeed. There are a plethora of ways to play a Sharlton, but like a mockingbird, the Sharlton can only mimic sounds (notes, music) that it has already heard. No one knows why this is the case. So, a Sharlton is like a giant synthesizer. If you tickle its chin, you get some cowbell. Pull its tail and “Bad Moon A’rising” (full band) starts playing. There are a million different ways to play a Sharlton–the only limit is your imagination. Oh, and I’m subscribing to your RSS Feed. This blog is hilarious. Thanks, Amy, for submitting the first entry! Though I should withhold comment on your musical instrument invention for now, I thank you for your kind words about the blog. Glad to have you aboard the feed! Hi, Margo! 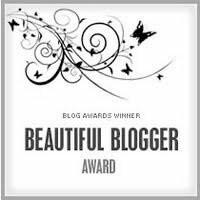 I saw your email about this blog contest on the SCBWI Listserve. What a fun contest! My musical instrument is called the Woo hoo kazoo. It looks similar to a kazoo, but it is always silver and black, and small enough to fit in the front pocket of your baddest pair of jeans. Owners of the Woo hoo like to bring it to outings such as sporting events, concerts, or readings of their favorite author. To play the Woo hoo, the musician presses the tip of the instrument in his/her mouth and makes two breaths. The instrument loudly yells, “Wooooo hoooo” depending on how long the breaths are. For some odd reason, if the musician eats onions or licorice before playing the instrument, the woo hoos are considerably louder. An unknown fact about the woo hoo is that if you bring the instrument to your nose and blow out air through your nose into it, it sings, “You rock!” Very handy so you don’t lose your voice during a crowded and exciting outing. Another of Sir Festus’ favourite instruments is in fact the zith-dither. This is a stringed instrument, an offshoot of the guitar family, whose sounding board undulates in waves, giving it a repetitive hourglass appearance. The length of the strings is inversely proportional to the width of the sounding board at any given spot (i.e. where the board is widest, the string is shortest and vice versa). While this makes for stunning visual impact, the creators of this instrument couldn’t agree on what they wanted it to sound like, vacillating day in and day out. So they agreed to make the sounding board solid, so as not to allow for resonance. The result is an instrument that resembles nothing less than a lap-sized suspension bridge that may or may not be making music, but you will never know because the sounds it produces are so soft as to not be audible to the human ear. Thanks for entering, Ruthanne! It seems like you had a lot of fun with it. Please encourage your fellow librarians to enter! My imagination is not equal to this challenge, but I wanted to get the money for the library. So–inspired by my writerly surroundings–a printer in which different thicknesses and textures of paper produce different tones when they go through it. Hmm, brain waves, definitely. For my instrument, you connect electrodes to your head, and a computer transforms your brain waves into a series of electrical pulses that go into the brain of a canary, who then sings. 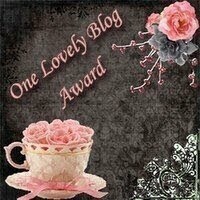 I’m too late for the contest, but I wanted to give you an award for your awesome blog and twitter friendship. 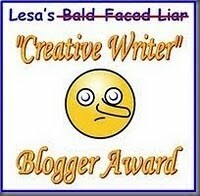 Wow, I didn’t expect to get my own award! Sweet – thank you, Alicia! I LOVE your blog’s name, BTW. Truly.